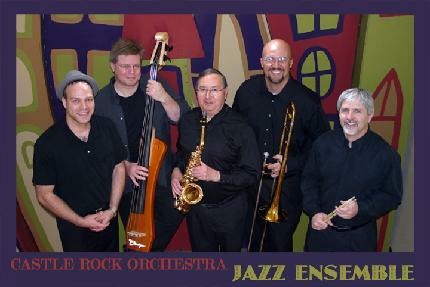 The CRO Jazz Ensemble features Bruce Blomquist on bass, Mark Baker on trumpet, Rick Packard on drums, Matt Rose on piano and vocals, and Keven Stewart on trombone. 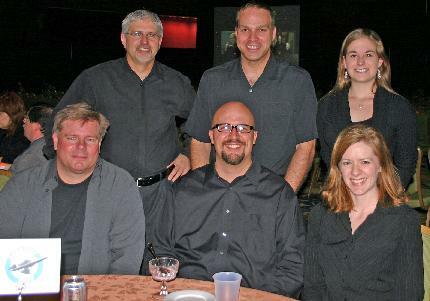 Past guests include Ken Metz on sax, Rob Nemchek on bass, and Dustin Arndt on percussion. 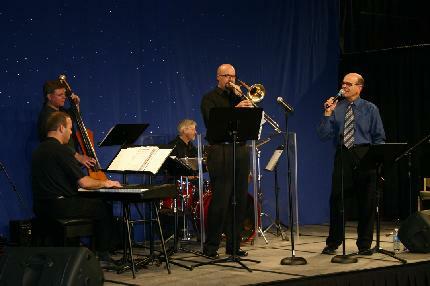 The group performs with actor Robert Picardo at Starfest 2009. CRO Jazz with Erin Stewart and Erin Richards on strings pose before the Starfest performance. 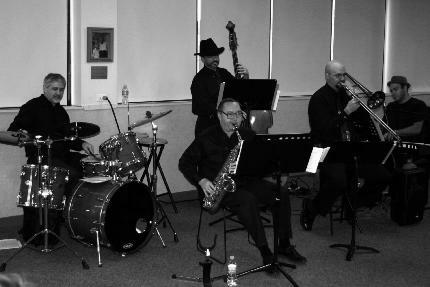 The group performs at the Parker library. 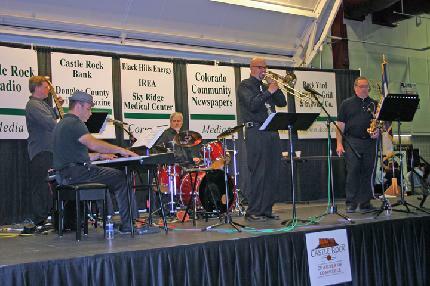 CRO Jazz at the Chamber of Commerce's Front Range Showcase. 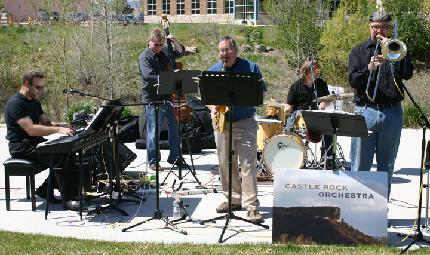 CRO Jazz perform at the 2009 Ducky Derby. 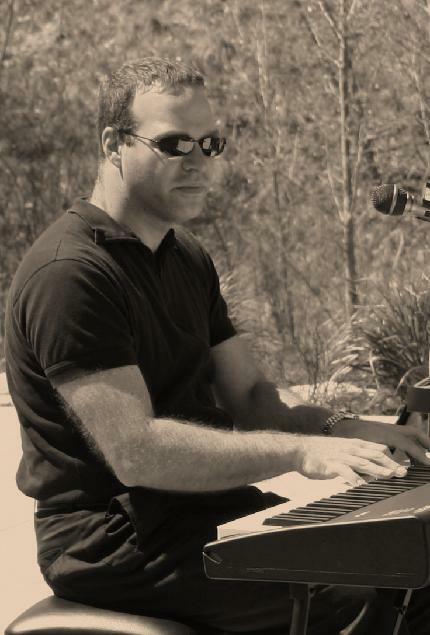 Matt Rose of CRO Jazz performs on the piano at the 2009 Ducky Derby.